Below are some nutritional values and benefit of various vitamins and why you need to eat them, their functions and their sources. 1. 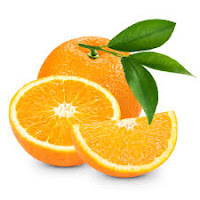 Vitamin C: Its is found in orange fruits and has been known for various functions in the body such as prevention of scurvy, healthy gums and teeth. It aids digestion and help protect the body from physical stress and other harmful effect of toxins from food, water and drugs. It also help in the proper functioning of thyroid glands and adrenal glands. 2. Vitamin E : It plays major role in immune functions, DNA repair, men and women fertility issues, sexual behavior and help protect the body from free radicals which can damage cells. 3. Vitamin B Complex: Its a combination of vitamin B and other nutrients to help perform some functions in the body. Its helps in the conversion of fat, carbohydrates and proteins into energy. It helps in the build of the body through appetite. 4. Vitamin B1 : Its also known as Thiamine and helps in the metabolism of proteins and fat. It also helps build the body, brain cells and tissues. 5. Vitamin B2 : Its also called Riboflavin which is necessary for growth , development, and repair of body tissues just like other vitamins. It also helps maintain red blood cells, provides healthy hair, nails, skins and there organs in the body. 6. Vitamin B3: Its also known as Niacin which help lower cholesterol and maintain a healthy nervous systems. 7. Vitamin B5: Its helps in cholesterol metabolism and production of hormone and also known as anti-stress. Vitamin B5 prevent aging and wrinkles and support the proper function of adrenal glands. 9. Vitamin B12 : Its necessary for the development of red blood cells and also helps build a central nervous system. Its also aids in calcium absorption.